When Marieke Flament got offered a spot inside Goldman Sachs-backed Circle, which lets people instantly send payments— and GIFs and emojis — in a message via bitcoin’s blockchain, she wasn’t sold. But after wrapping her head around the technology’s illustrious potential, she launched the US company’s European business in April this year. “I thought: Oh my God. This is huge. This is going to be like the Internet,” Marieke says. The UK’s vote to exit the EU, however, looms like the spectre at the feast. Circle uses its UK base to “passport” its services across European borders — but Brexit has thrown that agreement into doubt. Marieke admits Circle fears for its future in the UK: “If we can’t passport anymore it means we have to go into another EEA [European Economic Area] country and renew the passport from there,” she says, compounding fears that UK fintech could falter outside of the EU. If that’s keeping Marieke awake at night, investors don’t seem to have the jitters. Last month, Circle raised $60 million in equity funding from backers including Chinese tech giant Baidu — part of the cash is earmarked for expansion into China. That takes Circle’s total funding to $136 million. Circle’s value proposition is simple, despite the complexities of cryptocurrencies: It wants cross-border payments to be as simple as domestic payments; like chatting with someone over Skype. “We want money to work like the Internet does,” Marieke says. A clear challenge, however, is that consumers and banks have doubts over blockchain’s permissionless structure — and bitcoin’s reputation is less than rosy. Blockchain is essentially a public, digital ledger of transactions that emerged with bitcoin. It uses cryptography, allowing participants to securely manipulate the ledger without a central authority. Since foundation in 2013, Boston-based Circle has moved away from its roots in bitcoin to connect consumers using dollars, pounds, euros and renminbi. That’s thrown Circle into competition with older money transfer businesses, such as PayPal-owned Venmo and TransferWise. Rebutting my suggestion that there’s much ground to make up, Marieke says Circle’s use of technologies like blockchain and machine learning, which can help manage risk and combat fraud, makes it unique: “It enables us to be faster and more nimble,” she says. Bitcoins and artificial intelligence are a long way from her roots at Boston Consulting Group, a firm she joined in Paris after business school in 2011. 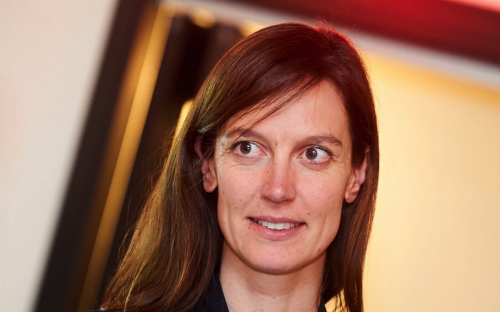 But even for MBAs with traditional career paths, Marieke reckons there are links to fintech. Five Fantastic Jobs Where An MBA Will Boost Your Career!